Due to the extreme wind conditions at Schiphol on Friday, September 21, 2018, there will be very limited runway capacity at Schiphol. That is why KLM decided to cancel 100 European return flights. The passengers concerned will be informed and rebooked. Top Copyright Photo: KLM Royal Dutch Airlines Boeing 737-7K2 WL PH-BGD (msn 30366) ZRH (Rolf Wallner). Image: 941827. 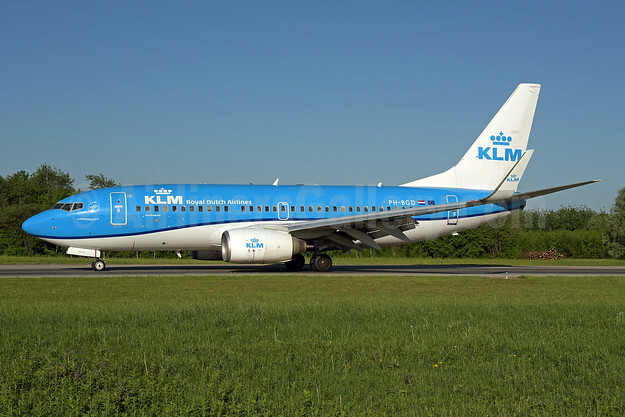 This entry was posted in KLM Royal Dutch Airlines and tagged Boeing 737-7K2 WL, KLM Royal Dutch Airlines, msn 30366, PH-BGD on September 21, 2018 by Bruce Drum.